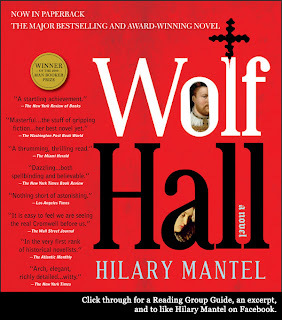 Passages to the Past: Wolf Hall now in Paperback...New Giveaway! 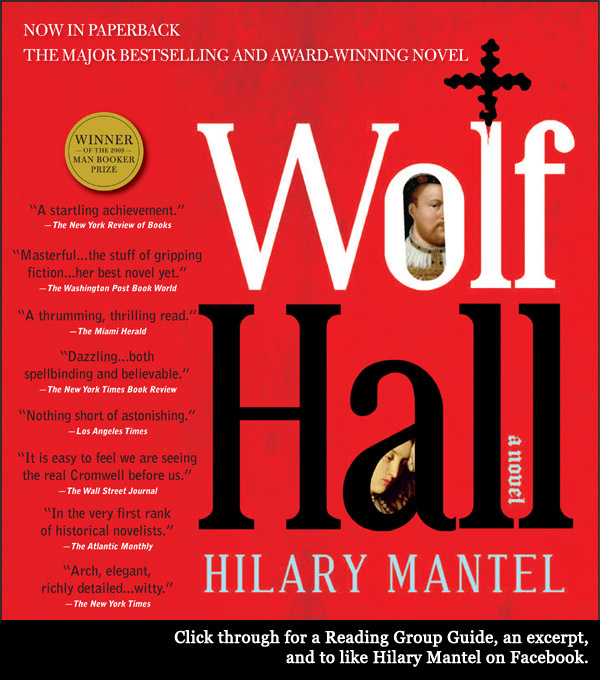 Wolf Hall by Hilary Mantel has just been released in paperback and in honor of that the kind people at Picador has given Passages to the Past 1 copy to give away! SYNOPSIS: In the ruthless arena of King Henry VIII’s court, only one man dares to gamble his life to win the king’s favor and ascend to the heights of political power. Visit Hilary Mantel's new Facebook page! - Giveaway open to US entries ONLY. - For +1 extra entry each help spread the word about this giveaway - blog, post on sidebar, tweet or post on facebook and enter that information in form below. I have heard *such* great things about this one! Thanks for the giveaway! I have been wanting to read this book. I was glad to see it circulate well at the library. It is always nice to see good books read. I hope to get to it soon. It is the perfect book for long winter nights. Gosh, I'm one of the few who haven't read Wolf Hall yet. What a great giveaway book. I saw this link on Goodreads and I'm glad I came. Lots of interesting stuff here. Looking forward to reading WOLF HALL this fall/winter. Thanks for the chance to win a copy! I loved her novel about the French Revolution and can't wait to read this one. Jessica - What is the title of Mantel's novel of the French Revolution you mentioned? I just wanted to give a collective good luck to everyone and a thank you for all these incredible giveaways here at PTTP! FurryReaders--It's called A Place of Greater Safety.